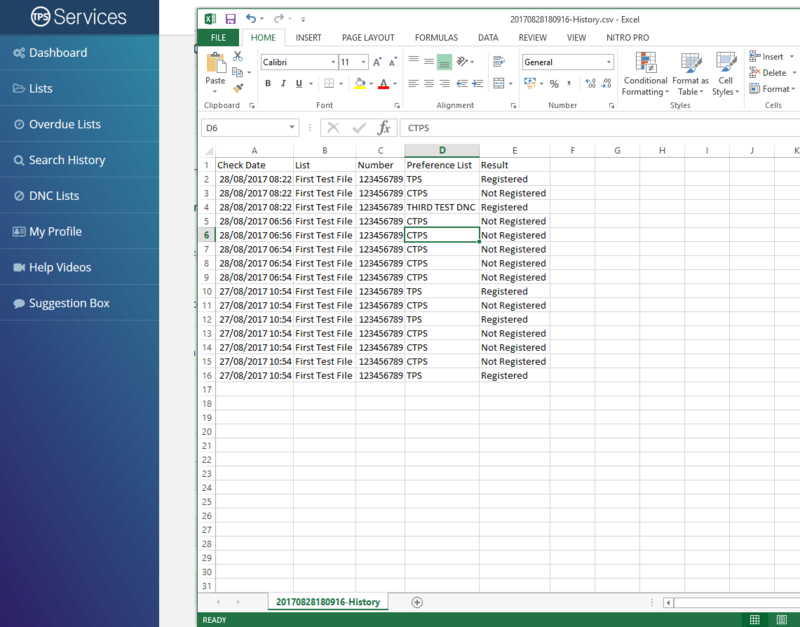 At some point after you’ve screened your data, you may need to check if a particular number was screened against the Telephone Preference Service (TPS) or Corporate Telephone Preference Service (CTPS). 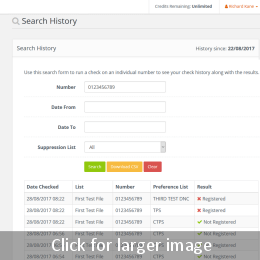 Using our new search utility you can query the search history on your chosen number and download the results either for you to store or submit to a colleague. 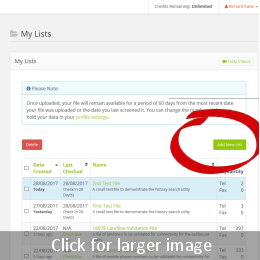 Click on My Lists and select the Add List button. 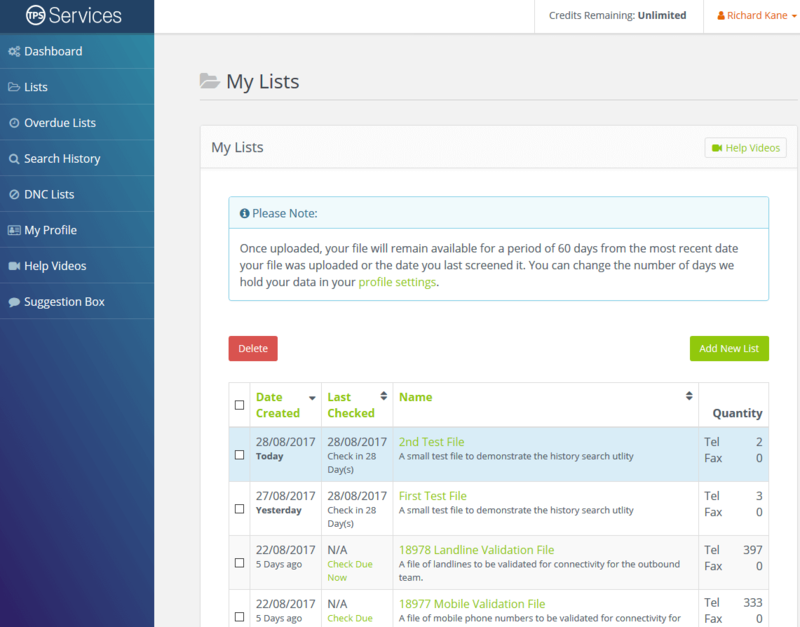 Follow the process to upload your data file for TPS screening and screen your file in the normal way. You just process your file in exactly the same way was you would normally. Enter the number you wish to search. 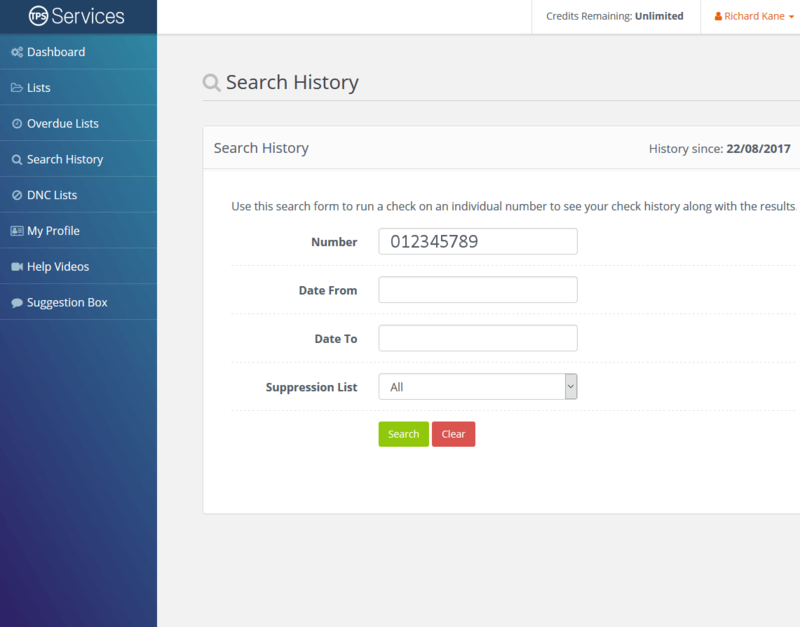 You can enter ’from’ and ’to’ dates if you wish, or else leave them blank to search you entire check history as far back as the date shown on the right hand side of your screen. 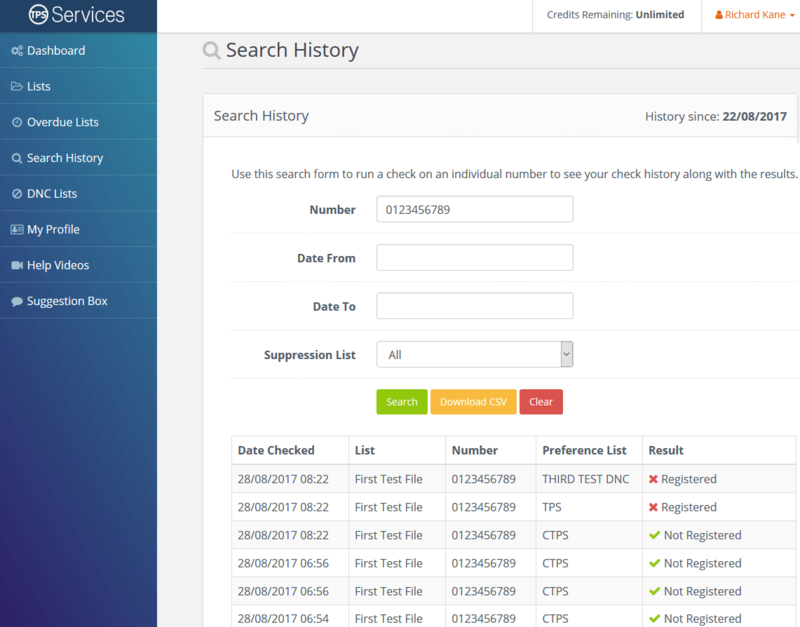 Click the search button and you’ll see the entire TPS / CTPS check history on your chosen number. Once you’ve run your search you’ll see the results on screen for your review. 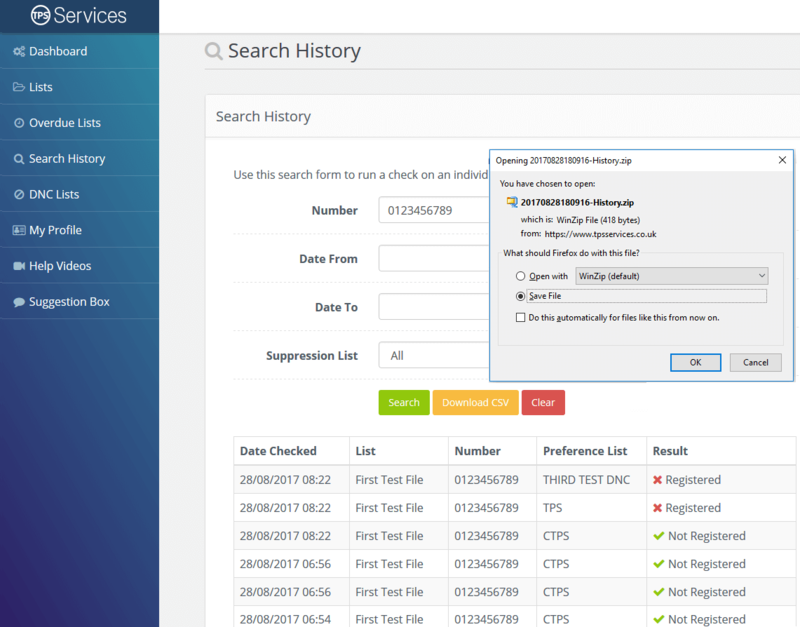 You’ll see the results of your TPS checking including any screening against your own Do Not Call (DNC) lists that you’ve uploaded yourself to the system. 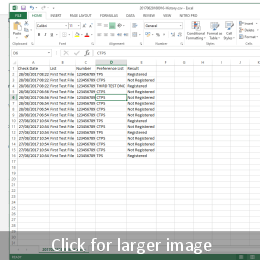 If you need to save your results for review later or to send on to a colleague, then click the download button. This is an example of what you can expect to see with your search history. 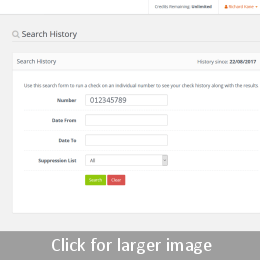 Remember, we only store the information necessary to return a search result to you. We don’t store anything else that you may have uploaded in your file. 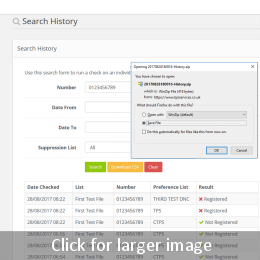 The TPS history search function is purely an audit trail on the numbers you’ve checked. Our goal is to provide a range of TPS and CTPS screening solutions to fit whatever your individual needs are so that you can screen against the TPS as easily as possible with the minimum of inconvenience. If there’s a feature or utility that you think would be useful then let us know. We’re keen to organise our development towards the needs of our clients.